Dee River Ranch located in Aliceville, Alabama, USA used an 18-8-15 fertilizer at broadcast and had rainfall at levels <30% of normal. The following plots were treated with two applications of 4 ounces each (4+4) per acre; applications were both foliar however one was applied aerially. Please note the seed treatment was not administered on these plots. 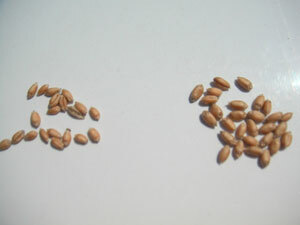 The chart below demonstrates the biomass increases of Accele-Grow treated wheat as compared to untreated wheat of the same variety. 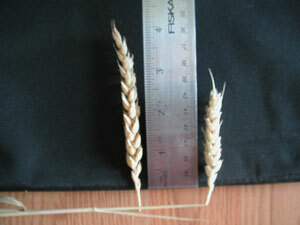 Additional tests run in North Alabama, USA on wheat show the following results on biomass. This test was run on dry land with 18-8-15 applied and application of Accele-Grow of two 4 ounce foliar sprays (4+4) per acre. This area was considered under ‘Exceptional’ drought as deemed by the Drought Monitor.